These savory snacks are called Pulot Panggang, another popular street food in Malaysia. 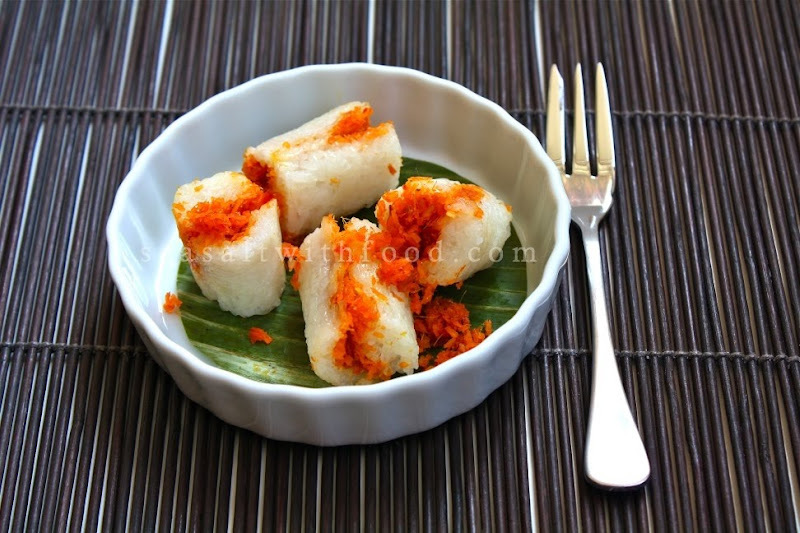 It’s made of steamed glutinous rice with a mild spicy coconut filling in the center. All wrapped with banana leaves, they are then slowly grilled to get all that wonderful flavors. This recipe does call for some patience and a bit of work; but, I think it’s well worth it. 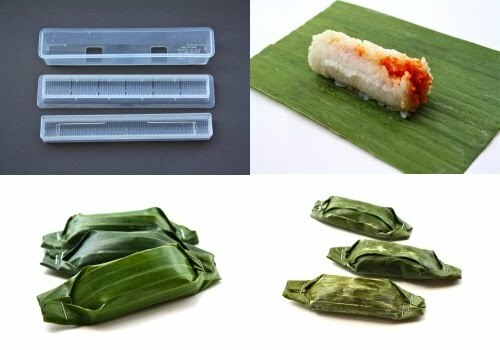 I used a sushi contraption, as shown below, to make it easier and less tedious to roll up the rice. Try it. Combine glutinous rice, coconut milk, salt and Pandan leaves. Steam over high heat for about 25 to 30 minutes or until the rice are fully cooked. Prepare the filling: Heat oil and fry the sambal until fragrant. 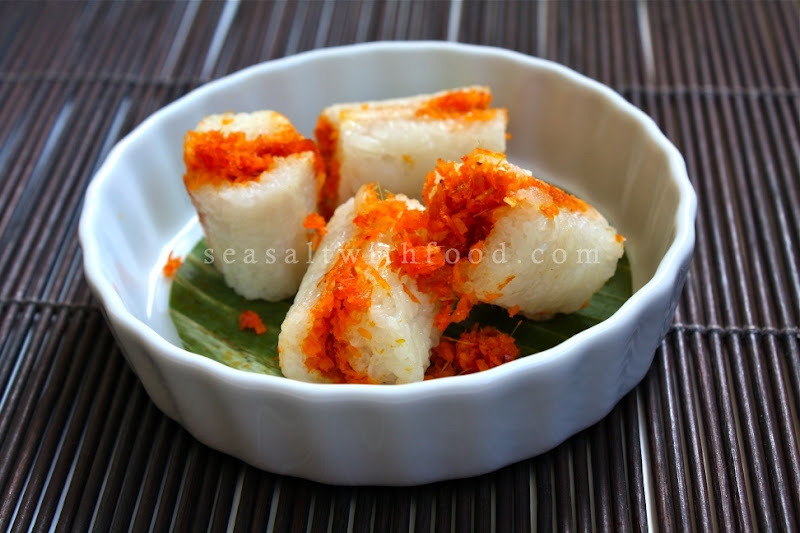 Add the dried prawns and continue to cook for about 5 minutes and mix in the desiccated coconut. Cook until the filling mixtures are dry but still moist and season with sugar and salt. Dish out and set aside to cool. Grill the rice rolls on a low heat for about 12 to 15 minutes. Serve warm.